As the publication date for my novel draws closer, I’m thinking and writing about 30 Novelists You Should Know. And they’re all women. What if Margot Frank, Anne Frank’s older sister, had survived the concentration camps? What if she tried to shed her past by moving to Philadelphia and creating a new identity for herself as a non-Jewish woman named Margie Franklin? This is the premise of Jillian Cantor’s compelling and haunting novel, Margot. The book takes place in 1959, just as the movie version of “The Diary of Anne Frank” sweeps across America. I read Anne Frank’s diary as a teenager and have reread it as an adult. Like most Jews of my generation, I’ve also read a large amount of Holocaust literature. Margot is something different. It centers on the sister we never knew, the one we readers saw only through our peripheral vision because we couldn’t take our eyes off Anne. And it provides a shocking glimpse of the casual and pervasive anti-Semitism in post-war Philadelphia, just years after the horrors of the Holocaust had become fully known. Cantor’s inspiration to write Margot emerged from an appalling event. She was only yards away when Congresswoman Gabrielle Giffords was shot and six people were murdered, including a girl only a little older than Cantor’s own children. You can read about it here. 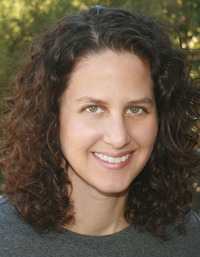 Jillian Cantor has written another novel for adults and three for teen readers. I learned about Margot through book reviews, and had not been familiar with Cantor before that. I’ll definitely be watching for future work from her. If you read Margot, read it for the story – and to see how a writer’s words can transform a tale so familiar into something new and evocative.